Maui Vacation Stories Contest: Share YOUR Favourite Maui HI Vacation Stories! Share Your Maui Vacation Story For a Chance To WIN! Since everyone who returns home from "The Valley Isle" has a Maui vacation story or two to share, why not share your Maui travel stories for a chance to be the winner of our latest contest! What can you win? Your choice of a FIFTY DOLLAR U.S. gift certificate to Amazon.com OR a FIFTY DOLLAR CDN gift certificate to Amazon.ca! Whether you want books, toys, household items or whatever, Amazon has it all! Haven't been to Maui yet? Since I'm assuming you're here because you're planning a Maui vacation, then why not bookmark this page, and then come back here to submit your story after you've returned from your trip? Do you live on Maui? Why not share your story from your latest "staycation?" It's always great fun to re-live our holiday experiences by sharing them with others, and even MORE fun if sharing means you can win a $50 gift certificate to Amazon, right? Here are a few of our favourite entries from past contests that might inspire you! 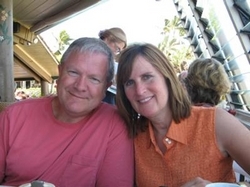 Sandy of Vancouver, WA, (pictured to the left) won one of our contests with her story, "The Gazebo Restaurant in Napili, Maui: Breakfast Worth the Wait!" She included some great pictures along with a great review! Haleakala at Sunset, by Caroline of Ladysmith, B.C. 1) Include a picture... or 2.. or 3... or more! A good picture tells a thousand words, and will definitely help to bring your story, trip report or review to life... and maybe even to first place! 3) Add details! I suggest a minimum of 250 words of quality information to increase your chances of winning! 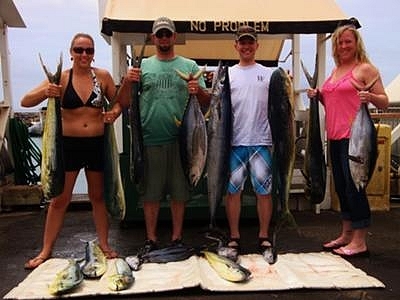 Try to include the details that would interest YOU if you were researching a Maui vacation right now. Especially include the kinds of details that only someone in the know who's "been there and done that" would know. I'll be accepting contest submissions until 11:59 p.m. (central standard time) on April 30, 2013. The contest winner will be notified on or before May 7, 2013. It will only take you a few minutes to submit your story, and you'll be entered for a chance to win that Amazon.com gift certificate! You can enter as many times as you like! Your story will appear on a Web page exactly the way you enter it here (of course, your e-mail address will NOT be published or shared with anyone!). 1) You must be age 18 or older at the time you submit your contest entry form. By submitting your entry form, you are agreeing that you are age 18 or older. 2) You may enter the contest as many times as you like. Just fill out a new contest submission form for each new Maui vacation story or review that you'd like to enter. 3) To be eligible to win this contest, you must include your name and a valid e-mail address. Whoever wins the contest will be contacted by the e-mail address submitted with their entry. If the winner's e-mail address is invalid when the contest winner is chosen, a new winner will be chosen. 4) In order to claim their prize, the winner must reply to the confirmation e-mail that will be sent to them the week of May 1-7, 2013. This confirmation e-mail will verify that this is the correct e-mail address to send Amazon's e-mail gift certificate to. A lot of these types of e-mails end up in the junk mail folder... so please, please, please regularly check not only your regular inbox, but the junk mail folder as well that week! Paradise-Found-in-Maui.com must receive the winner's reply to the confirmation e-mail within 7 days in order for the winner to receive their prize. 5) If the winner does not claim their prize as per rule #4, Paradise-Found-in-Maui.com may or may not choose a new winner. 6) Contest entries will be accepted until 11:59 p.m. (central standard time) on April 30, 2013. 8) Last, but not least, only original material will be accepted as an entry into our contest. Write your story in your own words, and please don't submit anything that you've already published elsewhere.